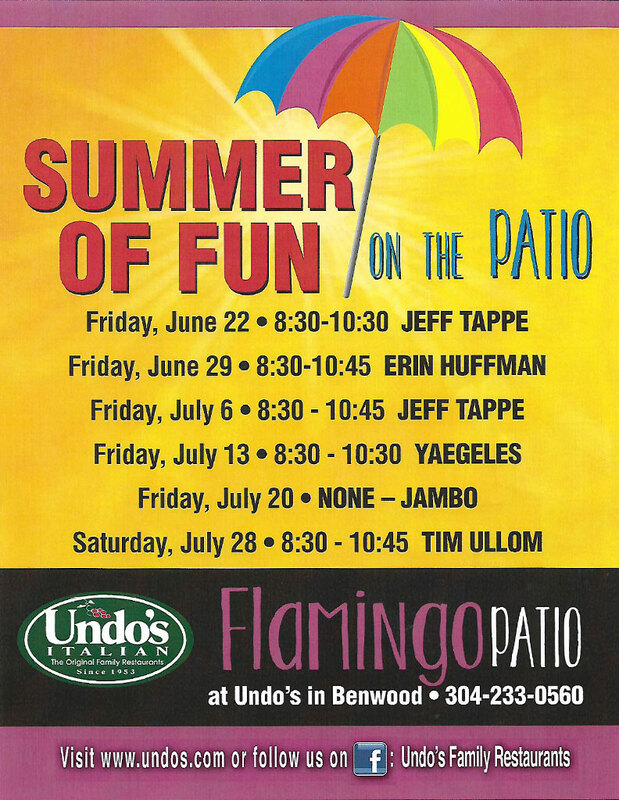 Undo's was established in 1953 when Undo and Jenny Sparchane purchased the Flamingo Club in Benwood. In 1965, Undo's purchased the Benwood Stag Bar which at that time, offered service to men only since the bar was located across the street from Wheeling-Pittsburgh Steel and millworkers could patronize the bar before or after work. A restaurant was eventually added adjacent to the bar and the original Undo's Restaurant was created and in 1985, a full service menu was introduced. Since that time, Undo's has expanded to Elm Grove, formerly Figaretti's, Undo's West in St. Clairsville, Ohio and Undo's in Weirton with catering halls throughout the valley. In addition to operating four full scale restaurants, Undo's owns and operates four catering halls and has an extensive outside catering department. Since the inception of the business in 1953, Undo's is known for providing quality food with the freshest ingredients and excellent service and a committment to our customers.